yes these are my feet. so I am a little shy with the camera. maybe I'll work my way up to a head shot soon! ha. We all have totes. It’s true. But what about combining a love of pattern with a love for our planet. everything you own into one massive shoulder-breaking tote. Take 2. Divide and conquer! Find your keys. Or tuck your phone away and look at nature for a bit. Why not be stylish and earth loving along the way without eating granola. I created the Shop at Little Spoons Design as a way to have a bit more creative and "eco-control" over what my designs were being put on and used for. It was important for me to start local and not create "new." Recycle a bit of what would go into landfills and make it pretty again. It's not 100% yet but getting closer! My goal is to work on each aspect of the business from design to shipping to materials in order to attain a carbon neutral footprint. Lofty? perhaps! But I also want to rest easy at night knowing my kids can only blame me for not mending the hole in their pants. Inspiration comes from so many places, from walks in the neighborhood to gallery and museum visits (when I can get there!) I love how an idea slowly comes to life from a simple shape in nature to an architectural element on a building or urban structure. my kids created this terrarium. sometimes I wish I could live in it! 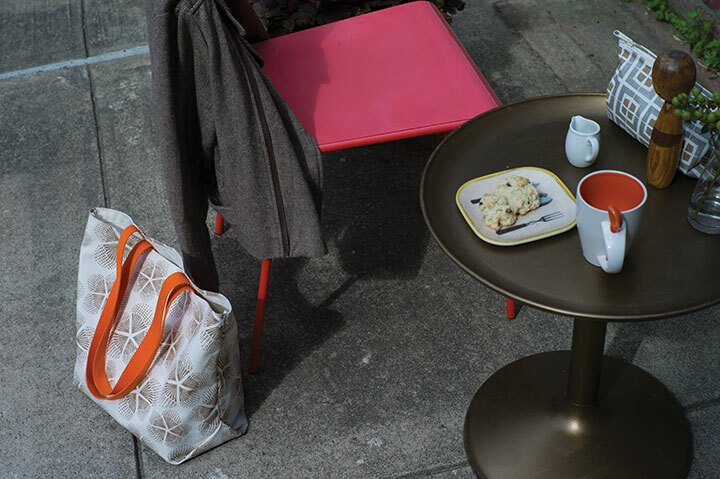 a few of my favorite things: coffee (though trying to drink more tea) scones, little spoons, sunlight in a quiet nook...and a good book or mag in the bag! I love little spoons. It's true. Ask my guy who finds them stuck in the dishwasher. I find they are the perfect thing to use not just for coffee or tea but for serving that dollop of something special to make a plate of food more fun. They remind me of Sunday morning soft boiled eggs or Tuesday afternoon coffee with a friend. They just make me happy. Okay so I am not a cook or a blogger so let's get to the point! What is Little Spoons Design? All about patterns. Taking everyday elements from my Brooklyn neighborhood and beyond and mixing them with the unexpected. Urban with nature. Vintage with modern. You get the idea. I also love creating patterns for companies - big and small - by finding elements within the brand identity, personality, mission or logo. 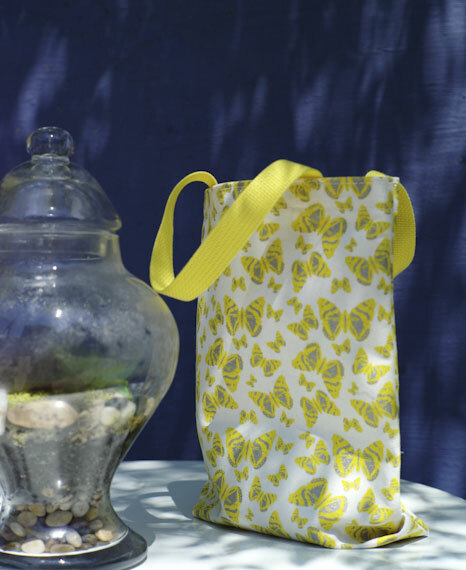 The Shop was created to share my patterns in a whimsical and stylish way. Thanks for stopping by!